Snowboarding fans in South Korea witnessed greatness before their own eyes on Wednesday as Shaun White cemented his legacy as the best rider of all time. And in two years' time, fans in Japan could get their chance to see White firsthand -- on a skateboard. 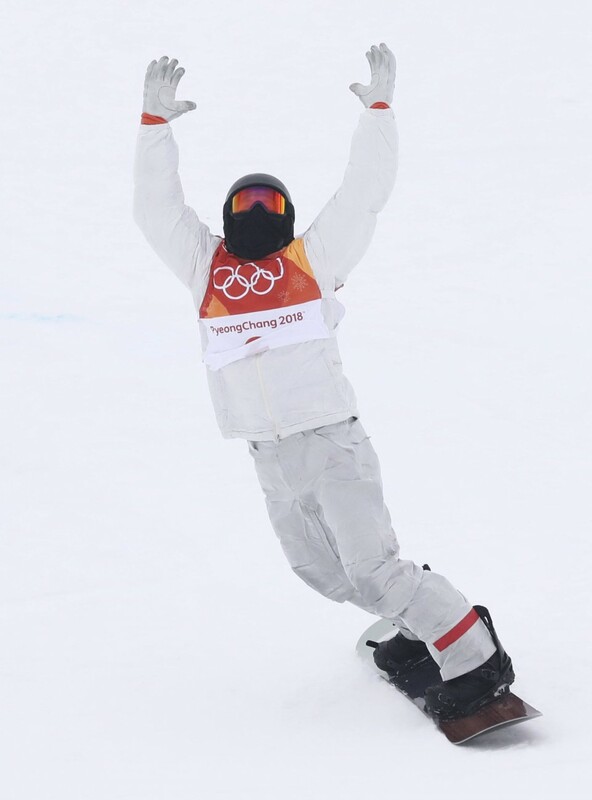 After capturing his third Olympic gold medal with the run of his career to overtake Japan's Ayumu Hirano in the men's halfpipe, White said not only does he plan to compete at the next Winter Games in 2022 in Beijing, he is also seriously considering entering the inaugural skateboarding event at the next Summer Games in Tokyo in 2020. "I think I will carry on," White said. "My big choice now is whether to go for the Summer Games or not. I'm excited about it. The motivation will be there. It's something new, less gear, new competitors, I could be at home and compete." "I really do think I could be competitive. It's like this muscle memory. A lot of tricks here are very similar to skateboarding. I really think I've got a great shot," said the 31-year-old White. Should White throw his hat into the skateboarding ring, it would be a dream for 2020 organizers and the International Olympic Committee, who are trying to garner the attention of youths through the addition of urban sports. With his superstar status, White could also help fill the void of Jamaican sprinter Usain Bolt, who had received top billing at the Summer Games since Beijing 2008 before retiring last year. And White seems like he would be more than happy to try to make up for the loss of Bolt in Tokyo. "I was watching this Usain Bolt documentary and he was, like, 'I've got three' and I thought I wanted a third, too," said White, the first snowboarder to win three Olympic gold medals. "And I wanted to win in this fashion: last run, last guy to drop and put it down -- and won. I'm just so proud of myself, which I never say." Having the last run Wednesday may have separated White and Hirano, who said he was not that bothered about posting the highest score in qualifying a day earlier. On the other hand, White, who scored a high of 98.50 in qualifying, said it was important for him to experience the weight of the world in a final run. Hirano led by a point after the second run, but White turned the tables on the teenager by scoring 97.75 on his third attempt behind back-to-back 1440s to climb back atop the podium after finishing fourth in Sochi four years ago. 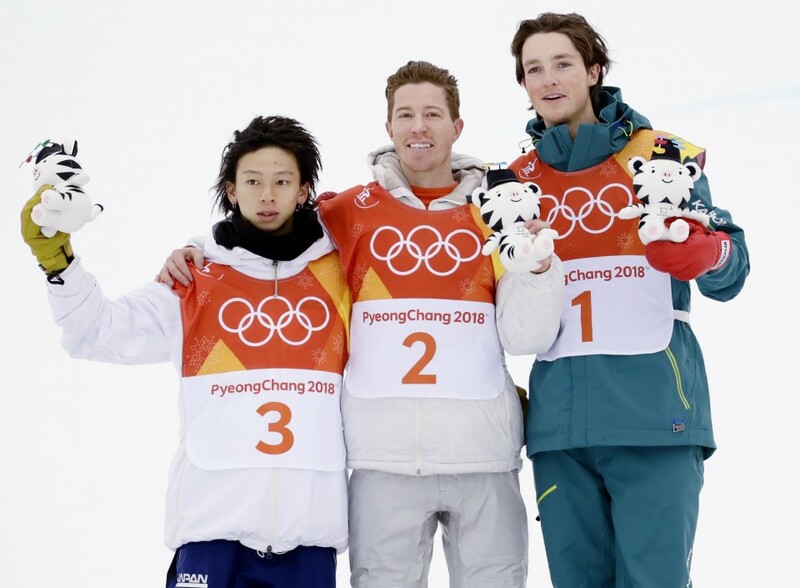 All three medalists -- White, Hirano and Australia's Scotty James -- hailed Wednesday's final, saying it was arguably the best competition ever. And White, again, had the last word. "This is why I won the qualifying," White said. "I wanted to be in that pressure situation, having the final say. And I'm standing there and the pressure of the world is on me and I realized, 'I'm having fun doing this again'." "It's a really beautiful thing for me after all these years in the sport, (to be) the last out there." White, who recovered from a horrific snowboarding crash last October that required 62 stitches to his face, described Wednesday's last run as the best of his career, one that left Hirano stunned. "I've got to go home and watch the footage to make sure it really happened. It tops everything. It's the best run I've ever done in my career and I did it when I had to do it, at the clutch moment in front of all my friends and family -- and the world was watching." White believes the rivalry between he and Hirano, who is only 19, will continue on the road to Beijing -- with White possibly stopping off in Tokyo beforehand. "I really give him a lot of respect," White said of Hirano, who he has seen since the Japanese was 13. "I think he's going to continue on and be amazing in the sport and I hope to see him in China."